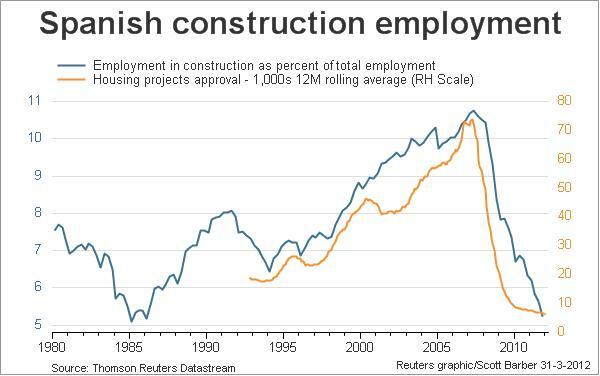 With real interest rates going negative in the years after 2000, more than 5 million new immigrants added to the labor force and high amounts of lending by households and companies (from abroad) not only a housing bubble was created in Spain but also one in the construction market. When the credit crisis begun and interest rates started to rise it became clear that this boom was not sustainable. Construction employment dropped to the lowest value in 25 years this year.